Do you want to reach more customers and prospects using Facebook Messenger? Have you tried Messenger ads? Messenger ads display inside the Messenger app on the home tab, increasing the likelihood people will interact with your business. 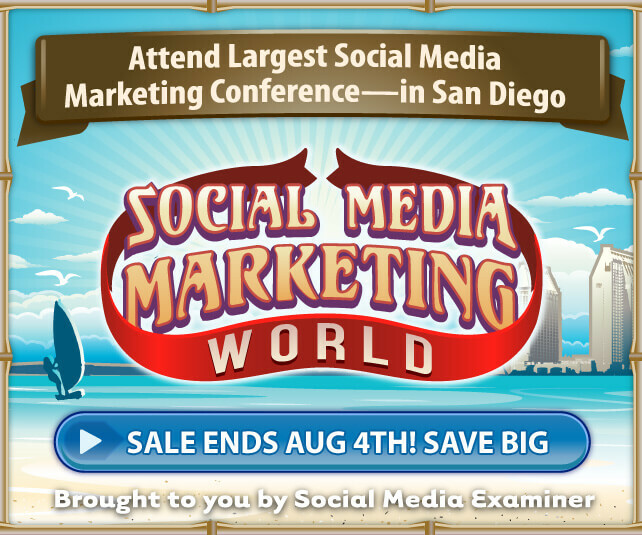 How to Set Up Facebook Messenger Ads by Sally Hendrick on Social Media Examiner. What Are Messenger Home Ads? Unlike sponsored messages, which require you to have a previous engagement with users you target, Messenger home ads allow you to target cold audiences on the home tab of the Messenger app. Facebook is rolling out the Messenger Home placement option to advertisers globally. 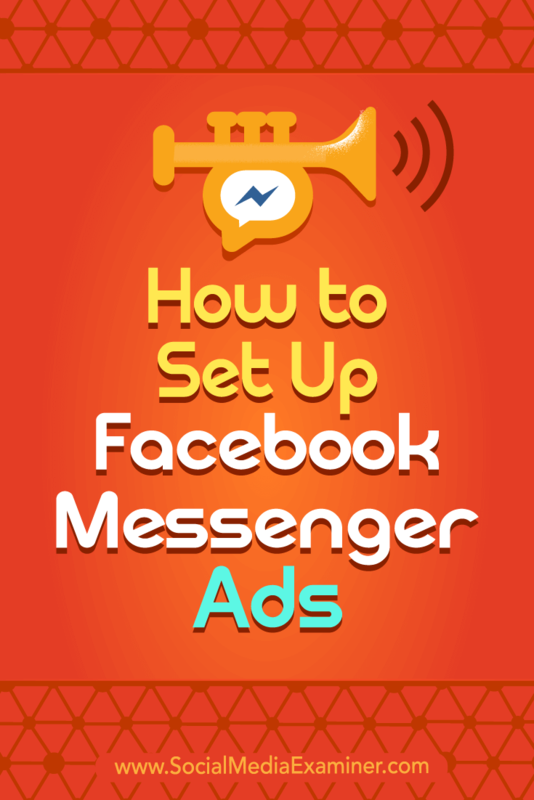 Here’s how to set up a Facebook Messenger home screen ad. 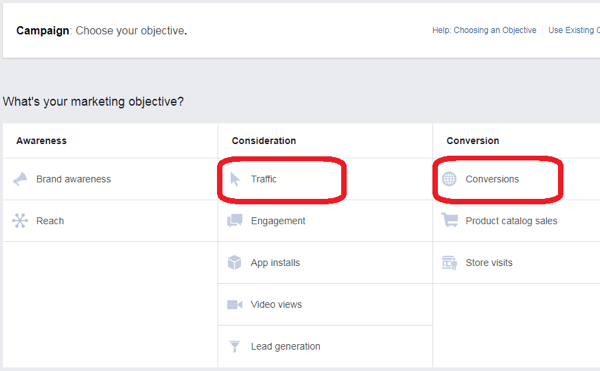 To get started, open Facebook Ads Manager and select your campaign objective. 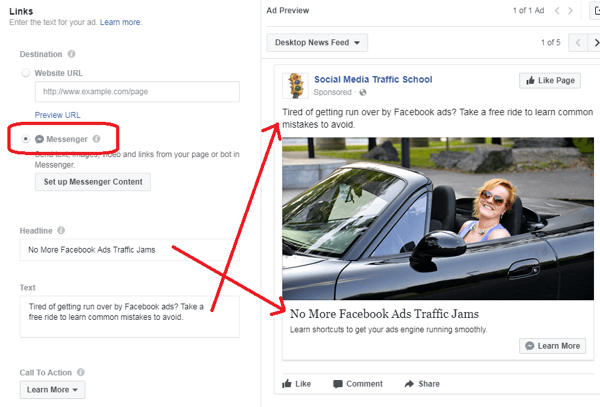 For Messenger home screen ads, you must choose either the Traffic or Conversions objective. 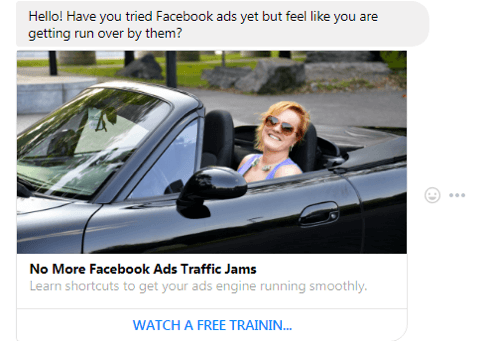 To create a Facebook Messenger home screen ad, choose Traffic or Conversions as the objective. For example, if you’re targeting an audience of cold traffic, you might choose the View Content event, as shown below. Measuring conversions for viewing content helps you place a value on ads for building brand awareness, as opposed to measuring ROI for ads that generate leads or sell a product or service. 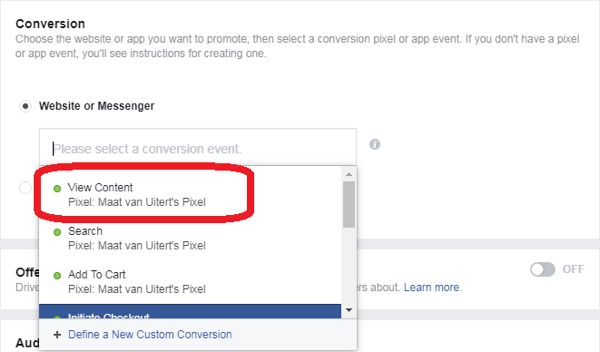 If you selected Conversions as your Facebook Messenger ad objective, choose a conversion event, such as View Content. Previously, Messenger ads didn’t allow you to target saved audiences. With Messenger home screen ads, you can create a new audience, or choose a previously saved or lookalike audience to target. To target cold traffic, you would exclude any custom audiences you’ve created. With a Facebook Messenger home screen ad, you can target or exclude a previously saved or lookalike audience. The ad placement determines where your ad will be served to the audience you’ve selected. Select the Edit Placements option button and choose your placements. For Messenger home screen ads, you can advertise to feeds on Facebook and Instagram, as well as the Messenger home tab. All other placements should be unchecked. Select the Messenger Home ad placement. If you select any other type of placement, you’ll get an error message. You’ll see an error message if you try to choose certain placements for your Messenger ad. After you select your placement, choose your budget and schedule. Now you’re ready to build the ad itself. First, choose the Facebook page from which you want your ad to be delivered. 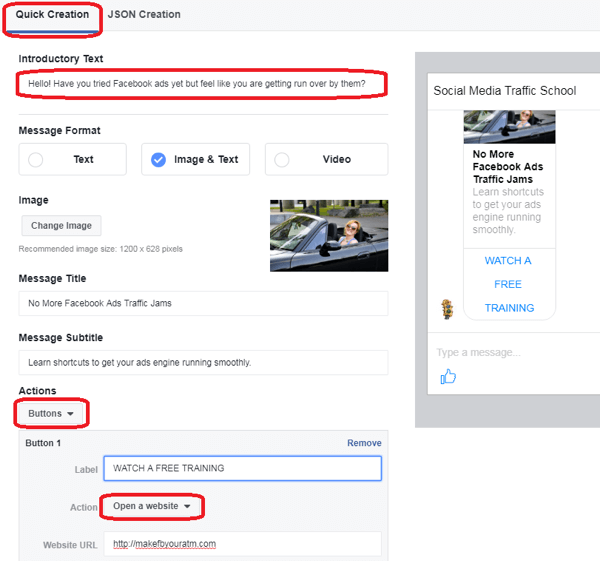 Then select an ad format (Carousel, Single Image, Single Video, or Slideshow) which determines how the ad will look in Facebook and Instagram feeds. If the goal of your ad is to drive traffic to a landing page, select Website URL and type in your landing page URL. 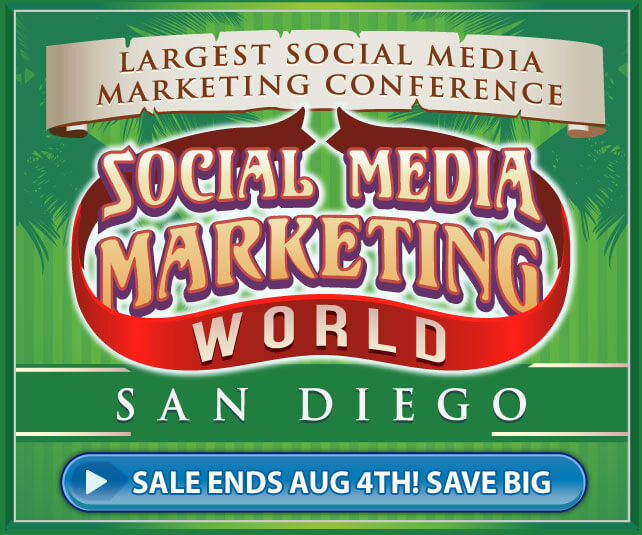 This web page will appear in a Messenger browser when users click your ad. If your goal is to start a conversation inside Messenger (like a sponsored message ad does), select the Messenger option. Choose a destination for your Facebook Messenger ad. Next, fill in the Headline, Text, and News Feed Link Description (not shown below). The Desktop News Feed preview on the right shows what your ad will look like on desktop. 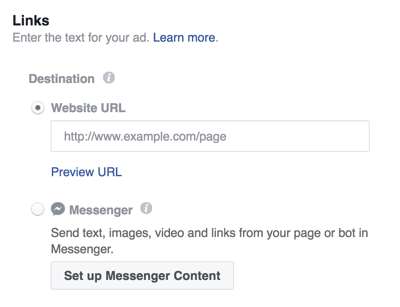 After you choose the destination for your Facebook Messenger ad, fill in the other ad details. If you choose Website URL as the destination, finish setting up your ad and then place your order. If you choose Messenger as the destination, click Set Up Messenger Content to create the message that will be shown inside the Messenger conversation. Read on to find out how to set up your content. 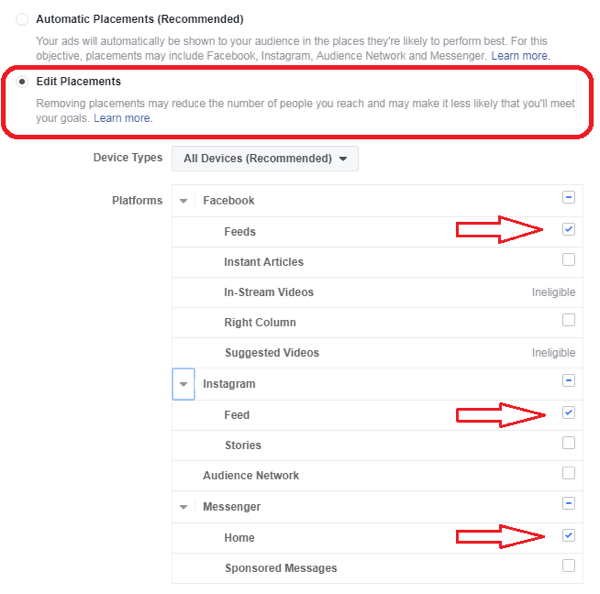 If you chose Messenger as the destination for your ad, click Set Up Messenger Content. The JSON tab requires you to modify code or paste code from a third-party automated chatbot program such as Chatfuel or ManyChat. This article shows you how to use the Quick Creation tab, which doesn’t require coding or an automated chatbot from third-party software. For consistency, use the same text inside Messenger for users who click from the news feed, or choose text that’s cohesive with the news feed text. Keep in mind that some people will see your message for the first time inside Messenger, so don’t assume everyone will see the news feed version first. You may want to include a greeting here as well (since this is a private message) and make the text more conversational. You also have the option to choose a new image if you want. The example below uses the same image as the news feed version of the ad but makes the text a little more conversational. Specify what users will see in the Messenger chat window when they click on your ad. From the Actions drop-down list, choose Buttons or Quick Replies as the call to action. The example below creates a button that will send users to a video on a website. Add a label and call to action for your button. If you choose Quick Replies instead of Buttons as the call to action, coding is required to send a message based on which reply the user chooses from the automated chatbot. You can code this on the JSON tab or paste it from a third-party chatbot. Note that if you select Quick Replies and fill in the blanks, the Buttons section will disappear when you go back to it. Preview your message in the Messenger app. Here’s a preview of what the message will look like when users click your ad. When you’re satisfied with your Messenger content, click Done in the bottom-right corner of the Quick Creation tab. Then review your ad’s summary details and place your ad. 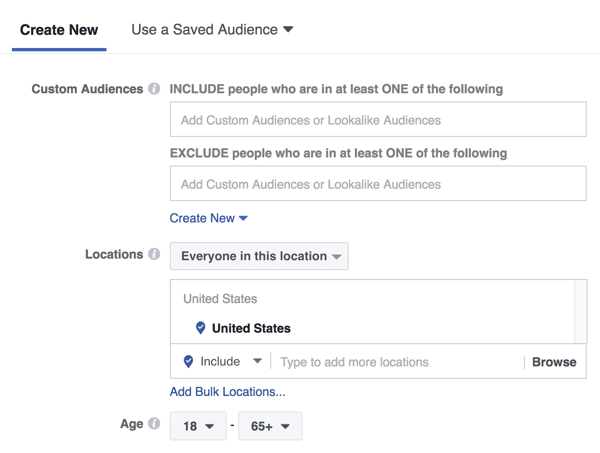 As Facebook continues to make improvements to their advertising tools, you can more easily connect with prospects and existing customers. Ads on the Messenger home tab are another way to reach your target audience on their mobile devices. What do you think? Have you tried creating an ad for the Facebook Messenger home screen? Please share your thoughts in the comments below.